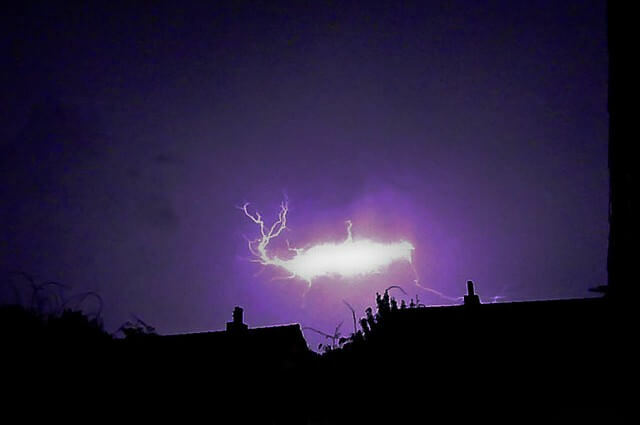 Above: photo credit: Possible ball lightning in Maastricht, the Netherlands. Joe Thomissen via Wikimedia Commons. An international team is trying to create a systematic and rigorous approach to studying unexplained aerial phenomena, commonly known as UFOs. The non-profit organization is called UFO Detection and Tracking, (UFODATA) and it seeks to construct a large network of surveillance stations to monitor the skies 24/7 using optical and infrared cameras, sound and ultrasound detectors, weather stations, Geiger counters, and magnetometers. Aerial anomalies almost always have a very mundane explanation behind them: planets, stars, meteors, weather balloons, planes, and atmospheric events are often responsible for what might appear mysterious at first. However, the team plan to focus on those events that are less easy to scientifically explain, and show what they could be. A scientific approach of this type would provide a rational answer to various UFO phenomena, as well as potentially delivering a large amount of data regarding our atmosphere. It could also provide data on rare and unusual atmospheric episodes such as ball lightning. The last few years have seen a dramatic change in how UFOs are reported. The availability of smartphones and image manipulation software has seemingly increased the number of fake reports from fame-seekers, with many videos purporting to show extraterrestrial phenomena easily dismissed as fabricated on closer inspection. More information regarding the project can be found on the UFODATA website.